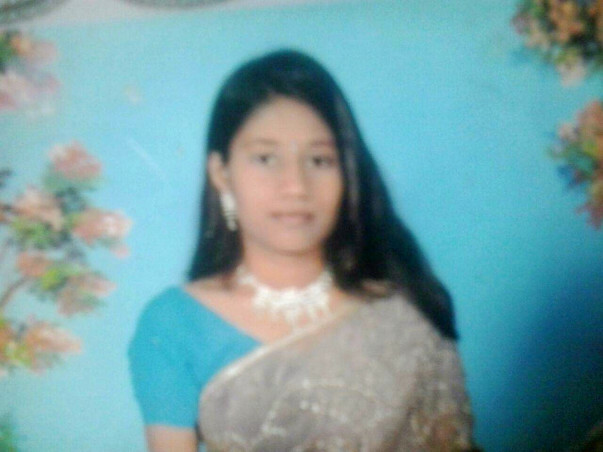 Priya Shaw is from West Bengal and is married to Mr. Rinku Kumar Shaw. It has been four years since marriage and they have a three and half year old son. Priya and Rinku were leading a normal life until the day Priya started to complain about back aches. Mr Rinku Shaw sells vegetables on the foot path and earns Rs. 6000/- per month. The whole family depends on the income he gets. Three months back Priya complained of severe stomach pain, for which she was taken to a nearby Hospital. After the doctor's investigations, she was diagnosed with an End stage Renal failure. She started to undergo Dialysis, twice a week. The doctor said she would have to be on dialysis till the rest of her life, if her creatinine levels do not improve. Creatinine levels indicate the proper functioning of the Kidney. The cost per month in her native town would be Rs.2000 to Rs.2500, until she finds a match. Then a relative of hers suggested Manipal hospital, where the family consulted Dr. Vishwanath. Renal transplant at the earliest was recommended for Priya to have a better and a healthy life. The treatment charges will be approximately Rs. 770000 including Pre Transplant Workshop. 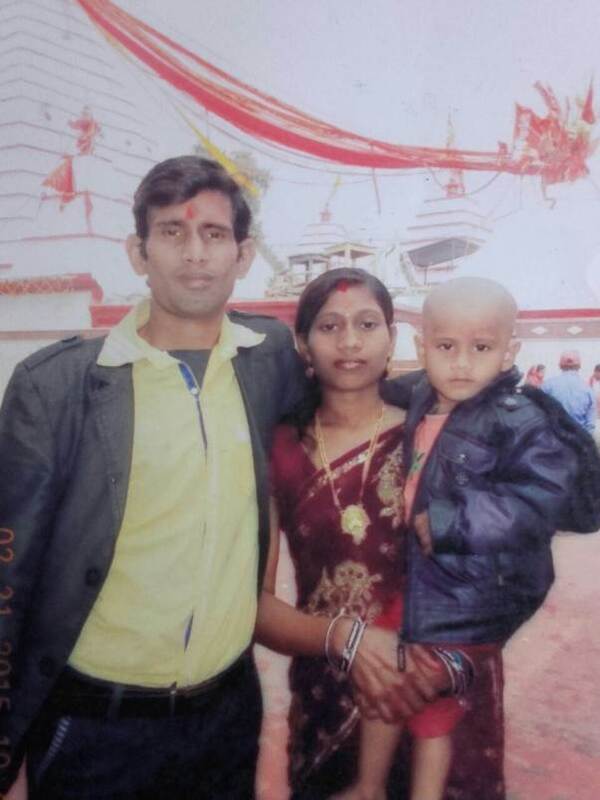 As they are completely dependent on Rinku's earnings, the family is finding it very difficult to bare the surgery charges. Mr. Rinku has managed to arrange around Rs. 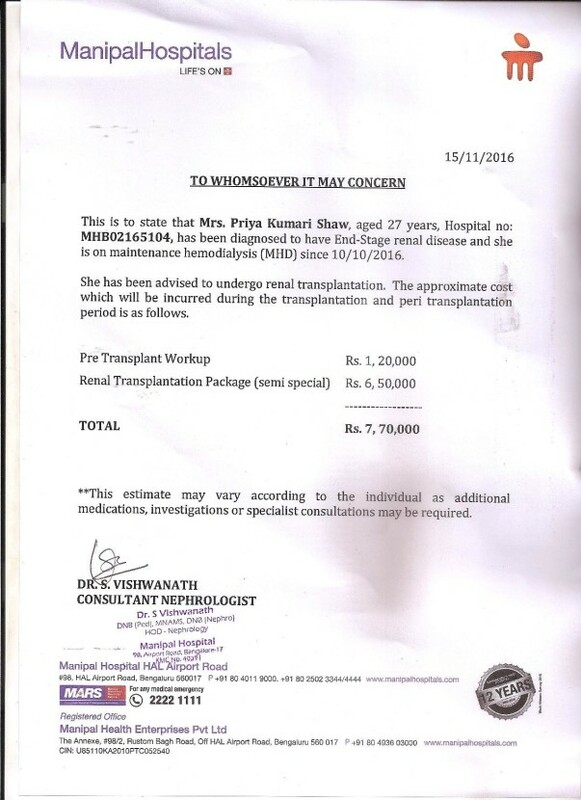 200000/- for her treatment which will be required for her Pre Transplant workshop. Please support Priya to have a healthy and a successful life.